RESERVE ONLINE AND 1 CHILD FREE FOR EACH PAID ADULT. This promotion is only valid when booking one paying adult. Once your purchase is complete please contact us to register the child, This promotion is only valid up to January 31st 2019 Don't miss out! There’s no better tour for ecotourism lovers than the Marietas Eco-Discovery Tour, which invites you to spend a spectacular day full of excitement and fun in the ocean. This adventure takes you from Puerto Vallarta to Islas Marietas National Park, a natural protected area that is located north of Punta Mita. 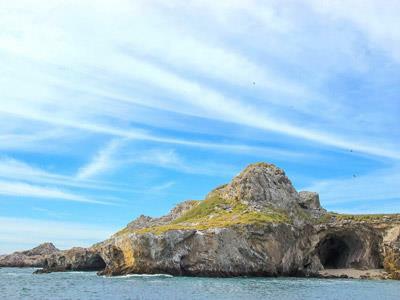 This area encompasses the natural habitat of multiple species of birds, so you’ll want to pay attention during the Marietas Eco-Discovery Tour, and it’s also likely that you’ll see wild dolphins playing. From mid-December to late March, this paradise is visited by majestic humpback whales. Enjoy snorkeling in the clear waters and practice paddle boarding and kayaking in this natural paradise as you discover what makes the Marietas Islands so famous. You’ll also discover why both the islands and Banderas Bay are considered sanctuaries along the Pacific Coast of Mexico.